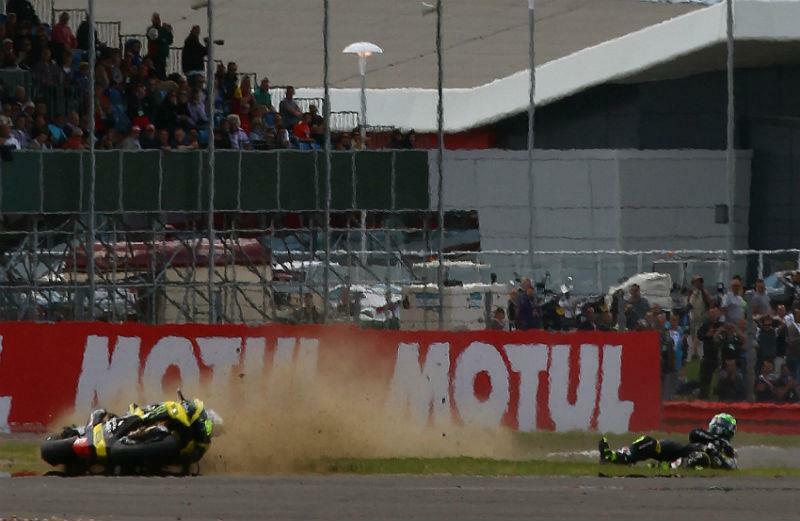 British hopeful Cal Crutchlow will not start tomorrow's British MotoGP race after crashing in the early stages of qualifying. The Tech 3 rider had just started his third lap when he fell at the first left hand corner. 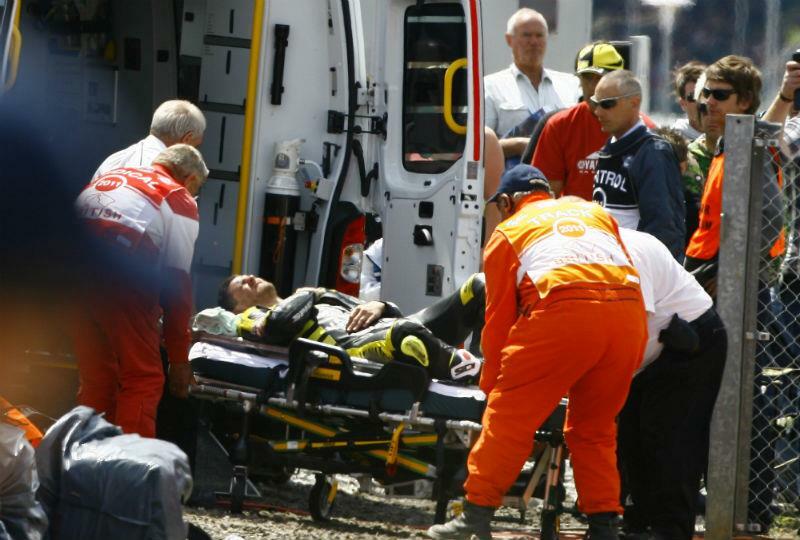 Crutchlow fell heavily on his left side and was holding his left shoulder while he was still sliding along the tarmac. Crutchlow was stretchered off and taken to the medical centre where he was found to have fractured his left collarbone and was suffering from concussion. The injury comes only a week after team-mate Colin Edwards broke his right collarbone during free practice at the Catalunya GP. UPDATE: Cal is currently at Oxford Hospital having a CAT scan due to the concussion and an operation on his left collarbone. He'll be kept there overnight.